These days, food has become a hot topic. We may be firmly in the supermarket age, but in the background, there is a growing hum of commerce from an altogether more wholesome sector. 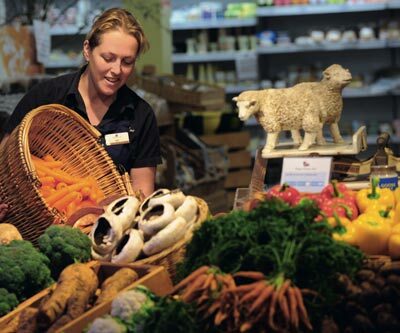 Farm shops have mushroomed in recent years, aided by an increasingly food-savvy and environmentally aware public, farmers looking to diversify and reconnect with the consumer and the odd food scare. ‘Local’ has become the loudest buzz word around food. According to the National Farmers’ Retail and Markets Association (FARMA), there are some 4,000 farm shops in the UK with turnovers ranging from £1,000 to more than £6 million per annum. Outwardly, they vary from glossy emporia such as Daylesford Organic to converted sheds with fridges full of home-produced meat, but the ethos is consistent: sustainability, seasonality, traceability and low food miles. The best examples provide a showcase for regional produce as well as their own, with enthusiastic staff extolling the virtues of the wares: meat that can, in its original form, be seen grazing within a bull’s roar of the shop and fresh fruit and veg- minus plastic wrapping-that you can smell and touch. 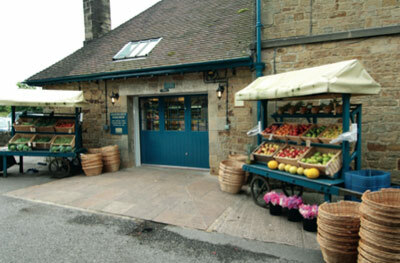 Farm shops sprang up in the 1970s as fruit farms began opening their doors for ‘pick your own’. These enterprises expanded quickly when they discovered that customers would be equally keen to buy other things, such as cream and bread, while they were there. She’s made a study of these enter- prises and finds the effects on the local economy are far-reaching. The Chatsworth area has since become a foodie destination and a fertile ground for small, local food businesses, which simply wouldn’t exist without the shop as an outlet. It’s a model that is being replicated throughout Britain by a new generation of entrepreneurial farmers and estate owners with similarly positive effects. 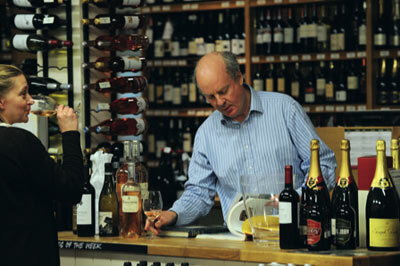 Andrew and Skye Hopetoun opened theirs two years ago on their estate just outside Edinburgh. The shop (which won Countryside Alliance and FARMA awards this year) boasts an in-house butchery selling beef, lamb and chicken produced on the estate, Hopetoun-branded beers and award-winning Scottish produce. 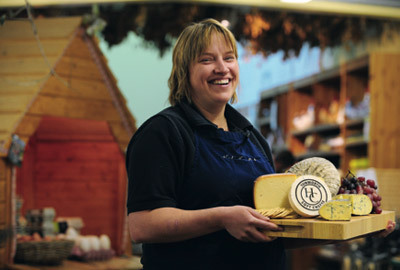 ‘One of the things we’ve enjoyed most is discovering all of these wonderful local suppliers who are so enthusiastic about what they do, whether it be an artisan cheesemaker, a baker in Edinburgh or someone who makes tea,’ says Mr Hopetoun. Edward Jewson would agree – he and his wife, Rachael, have been running Knitsley Farm Shop on their 200-acre livestock farm in Durham since 2008. The Jewsons employ 25 people full-time and sell all of their own beef, lamb, mutton, pork and eggs as well as pasties, pies and delicatessen products. As food prices rise and the recession bites, you may wonder how shops selling premium products can continue to compete on price with the supermarkets. Indeed, many farm shops have enjoyed an increase in sales since the horsemeat scandal broke in February as people wanted to be sure exactly what’s in the food they buy. If you haven’t done so already, discover your local farm shop, expand your culinary horizons and support the local economy. You won’t regret it. * Can house prices be boosted by foody credentials?